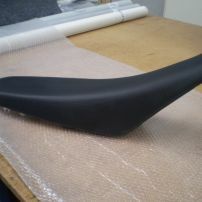 commented on "JARO replaced foam and reupholstered this motorbike seat." 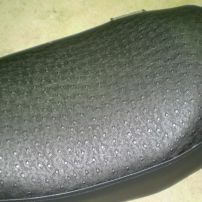 JARO replaced foam and reupholstered this motorbike seat. This seat was built up for extra comfort. 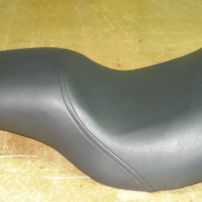 commented on "Motor Bike Seat Reupholstered by JARO Upholstery Melbourne/Gippsland"
This motorbike seat was reupholstered with an ostrich vinyl. 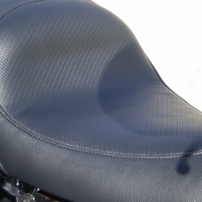 commented on "Motor Bike Seats Fitted or Reupholstered"
commented on "Motor Bike Seats Recovered"
This motorbike seat was reshaped for better lumber support and recovered!